We participate in Ogólnopolska Giełda Projektów. The event is organized by the National Centre for Culture in Warsaw. Katowice, Poland. 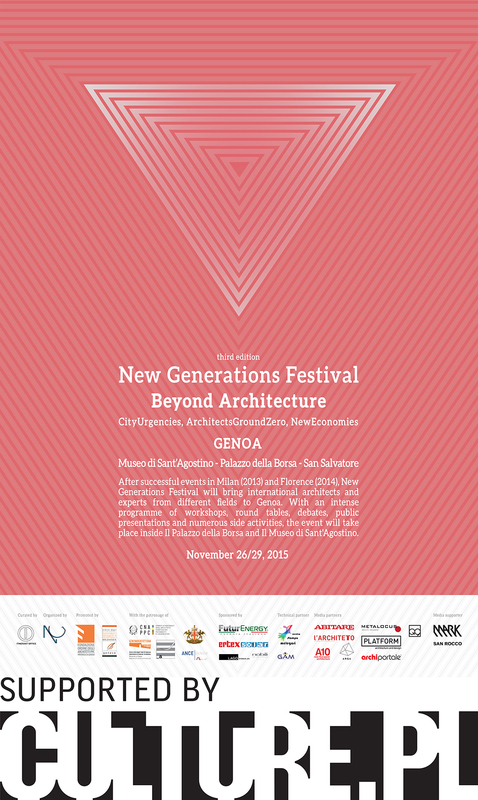 We have been invited to the festival “Beyond Architecture – New Generations Festival – 3rd Edition”. Our contribution is made possible with the support of Adam Mickiewicz Institute. Genoa, Italy. Jola Starzak and Dawid Strębicki in OFF Czarek radio broadcast, Radio TOK fm. 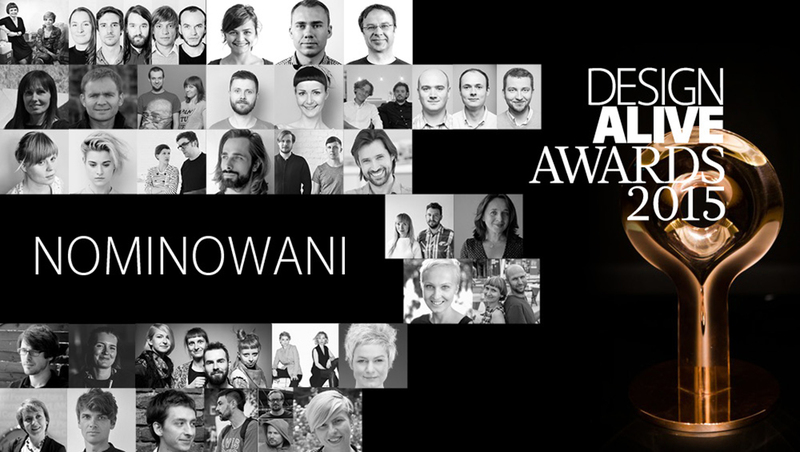 Jola Starzak and Dawid Strębicki nominated for Design Alive Awards 2015. 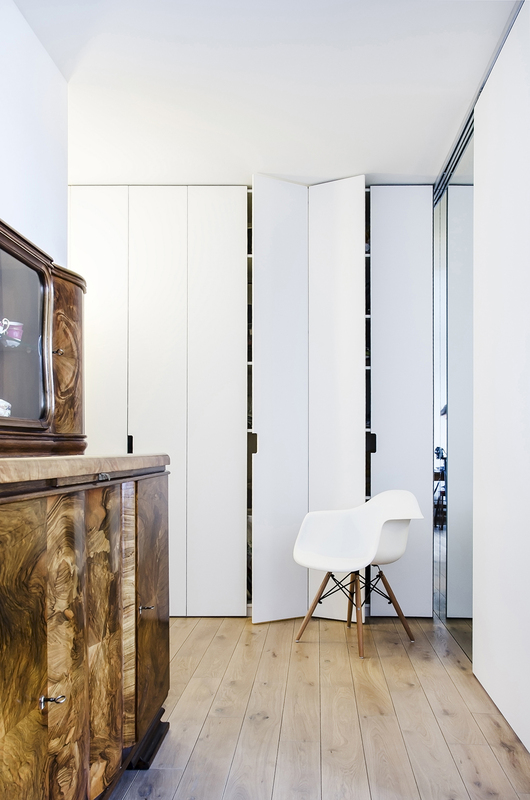 Jola Starzak, Dawid Strębicki, architects, Atelier Starzak Strebicki – for non-standard thinking in design, for insight-fullness, curiosity and especially for the exhibition “Home.Housing.Dwelling“. For the WTZ (day-care centre for people with mental disabilities) in Ruda Komorska, we guided three day artistic and educational workshop dedicated to people with mental disabilities. The workshop is part of the project “5 zmysłów. Dystans”. Ruda Komorska, Greater Poland region, Poland. Competition entry for the project Targowisko Świt, Poznan, Poland. Article for Newsweek Psychology 2/2015 “Oswajanie przestrzeni”. Interview with Jola Starzak and Dawid Strębicki for IKS – Poznański Informator Kulturalny, Sportowy i Turystyczny 10 (288)/2015 “Tu teraz jest energia”. Article for Zawód:Architekt #45 “Młodzi architekci w Europie: kondycja i przyszłość zawodu”. 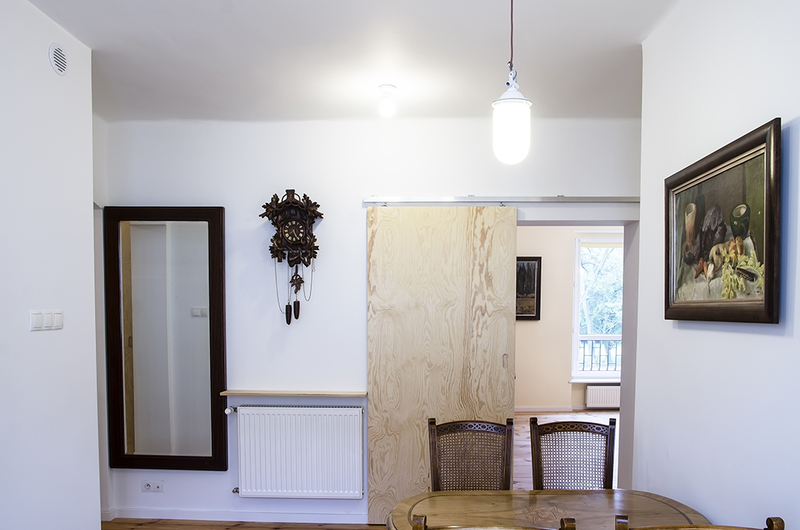 Exhibition Home.Housing.Dwelling will be exhibited at Łódź Design Festival 2015: Consequences. At the following. Address: Exhibition space in Gallery OFF, Piotrkowska 138/140, Łódź. 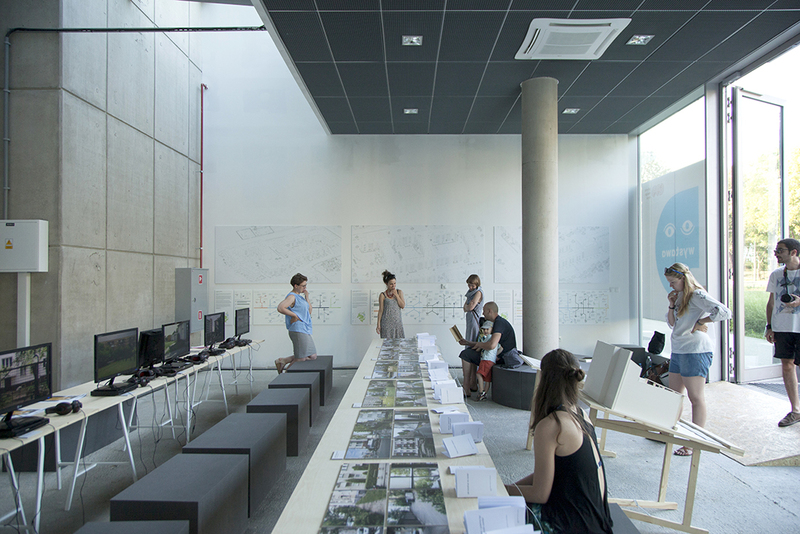 The exhibition has been created specially for the festival Gdynia Design Days. Festival Gdynia Design Days is organized by the Pomeranian Science and Technology Park Gdynia and Center for Design Gdynia. 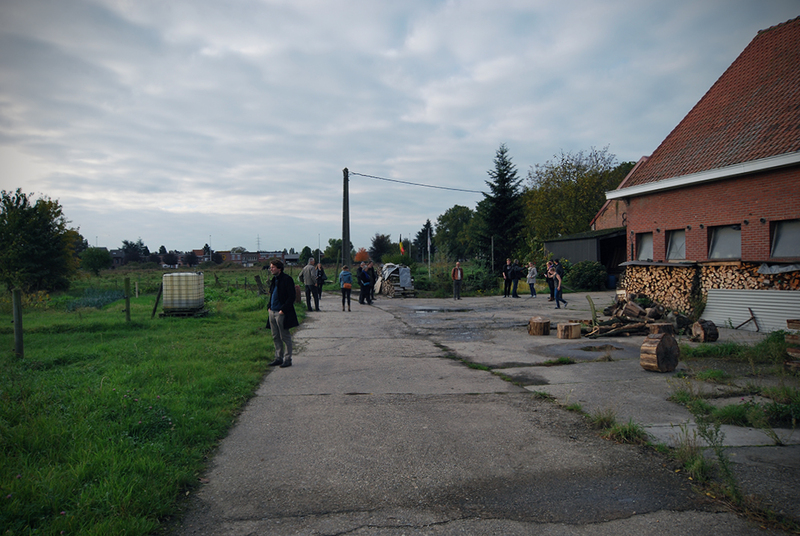 We have been invited to the competition for the Masterplan of De Werve Hoef in Wijnegem, Belgium. In collaboration with Technum Tractebel Engineering, Ghent, Belgium. We put everywhere „not” in between the brackets, as we’re uncertain if we will be feeling and thinking the same way tomorrow. 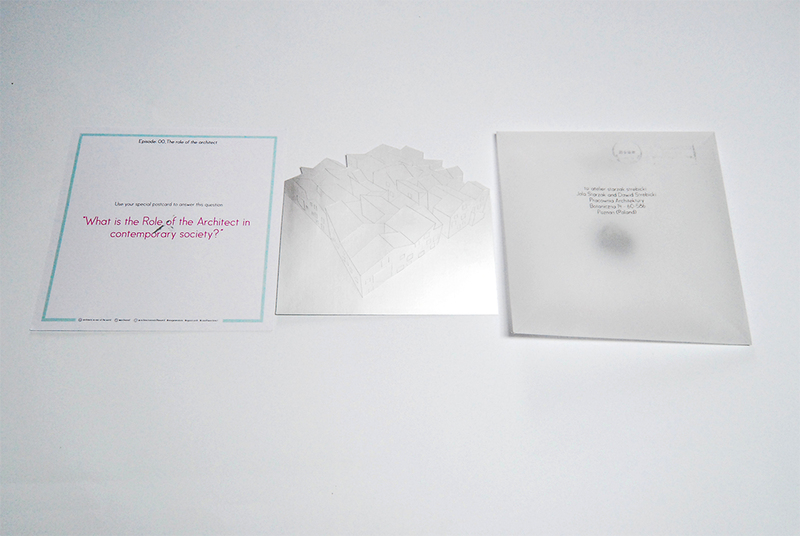 Dawid and Jola are running Atelier Starzak Strebicki and they have asked to the office to contribute to the postcard, an interesting participative vision on our profession. 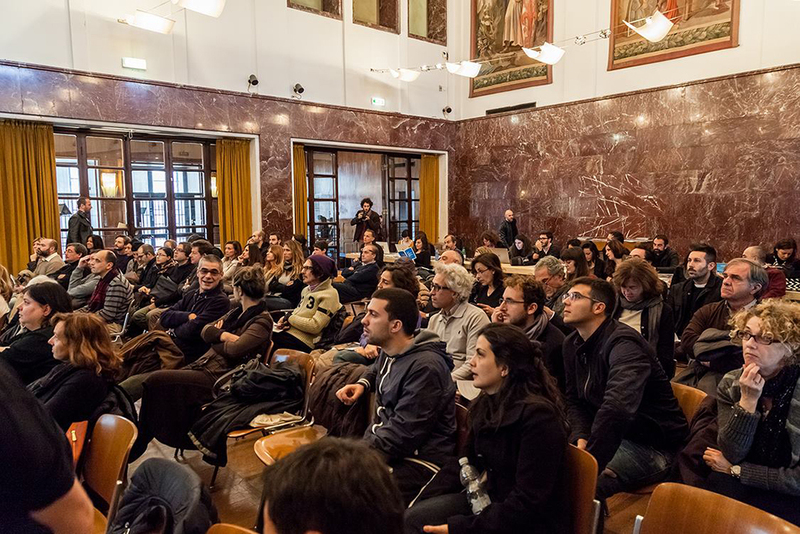 Maybe we should also add: „Architecture is (not) participation”, what is (not) architecture, for you? Lecture “Wspólne, prywatne i kolektywne – czy można dzielić się przestrzenią i wspólnie ją używać?” as part of the Uniwersytet SWPS at festival Transatlantyk in Poznań, Poland. 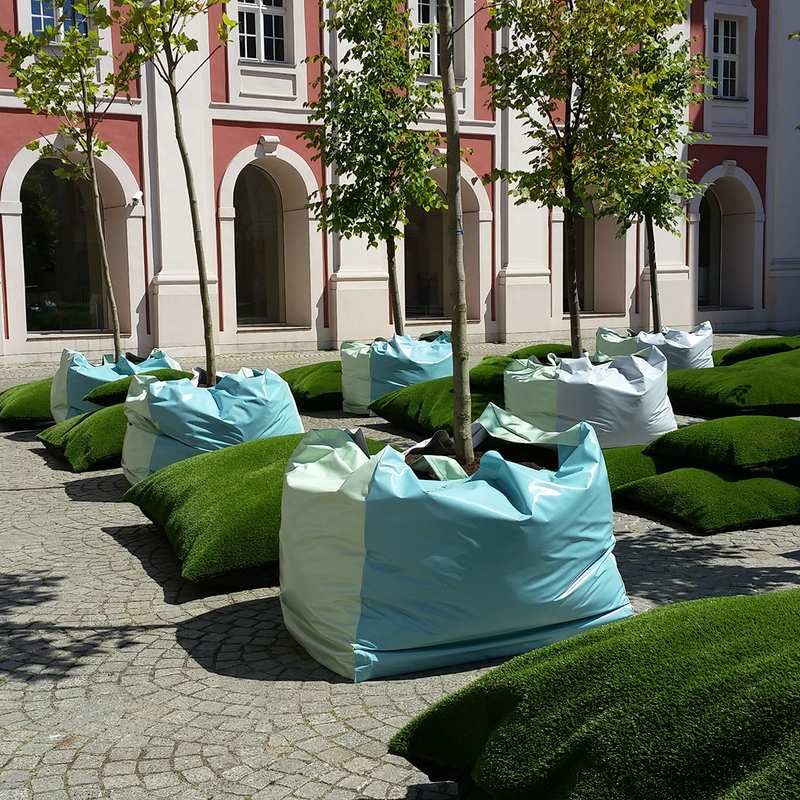 Public presentation of the project Courtyard of the city hall in Poznań. 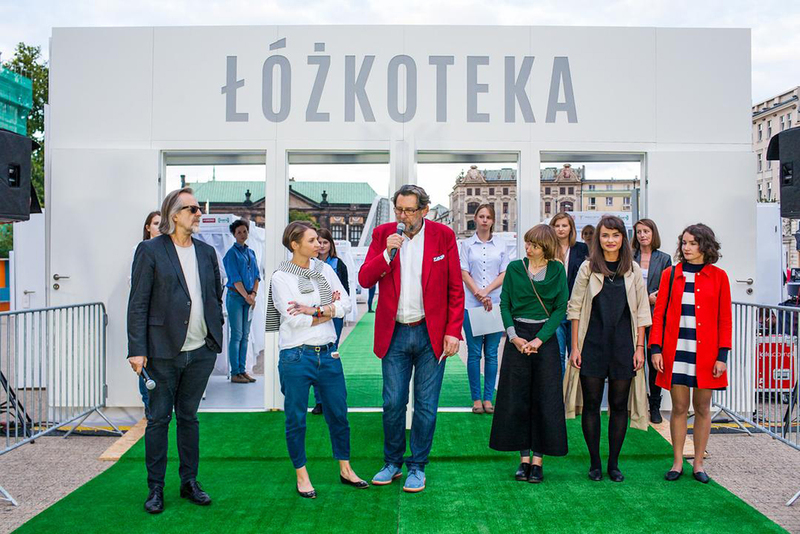 Opening of “Łóżkoteka” on Plac Wolności in Poznań. 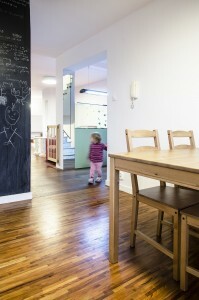 Project was developed by Jola Starzak together with Agnieszka Mazurek and Ewa Śliwińska. 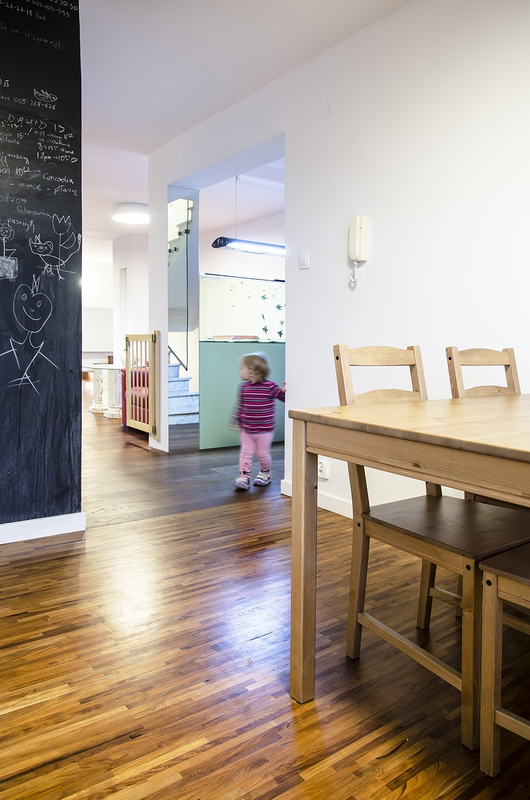 Opening of the exhibition Home.Housing.Dwelling during Gdynia Design Days 2015. 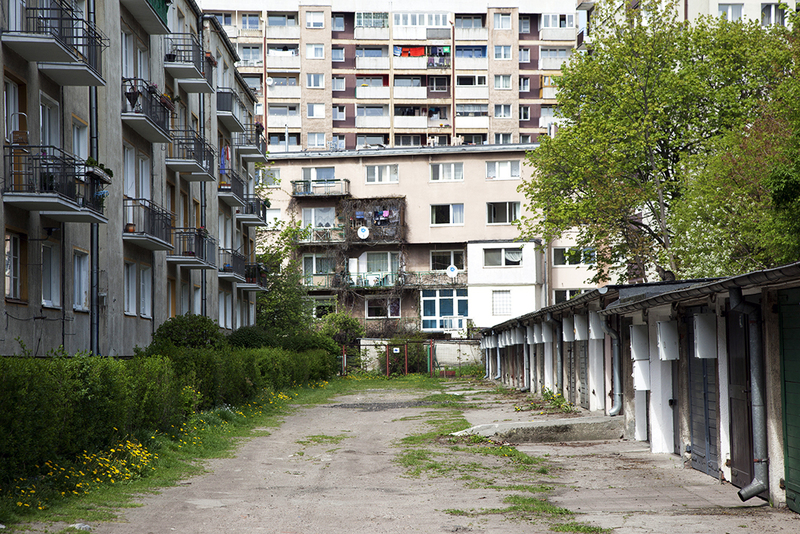 What’s the quality of public, private and collective space in polish housing estates? 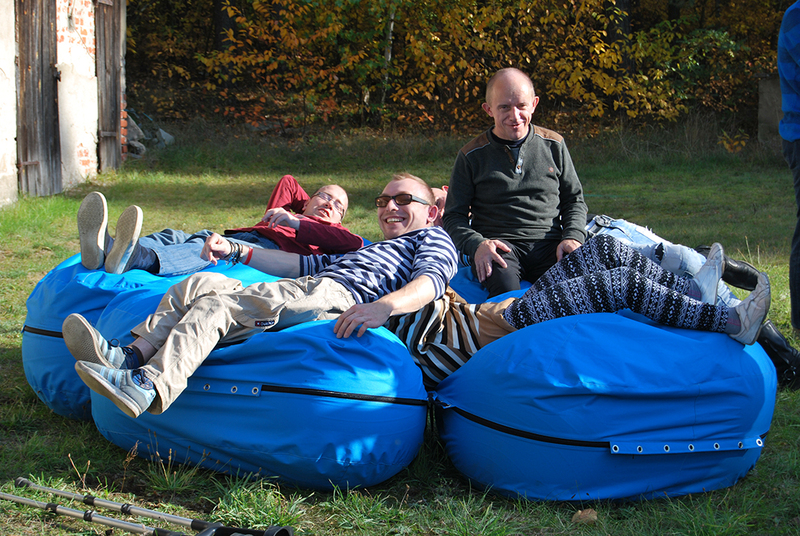 Does it help to create a social life and build the network of relationships between the inhabitants? What happens between the buildings? 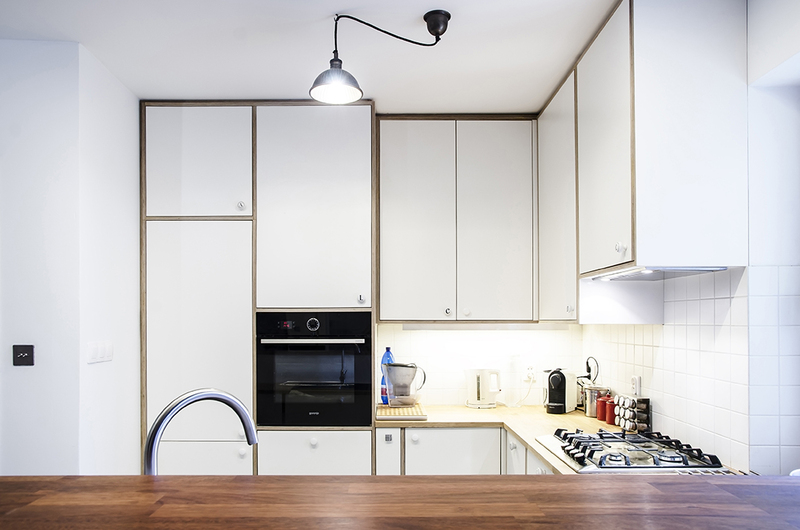 Exhibition Home.Housing.Dwelling is a result of collaborative research of architects and sociologists on the issue of common polish housing estates. 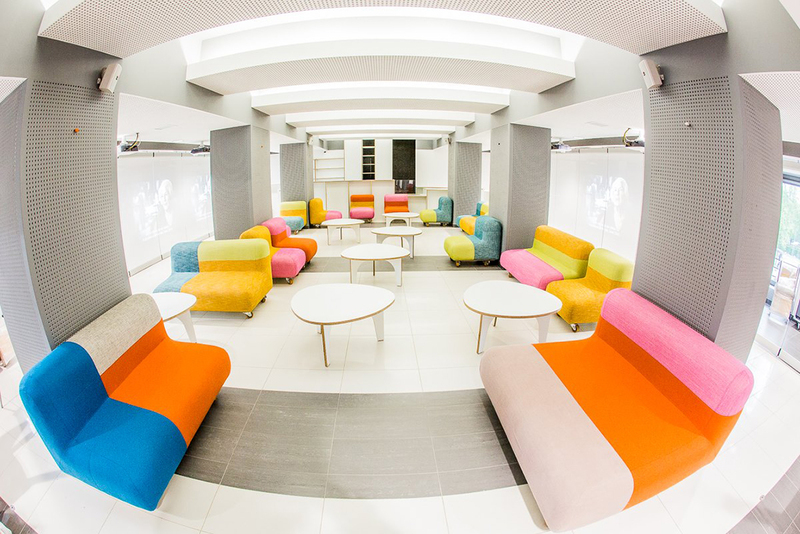 Field for studies and subject of research are six different housing areas, focusing on the topic of everyday life. 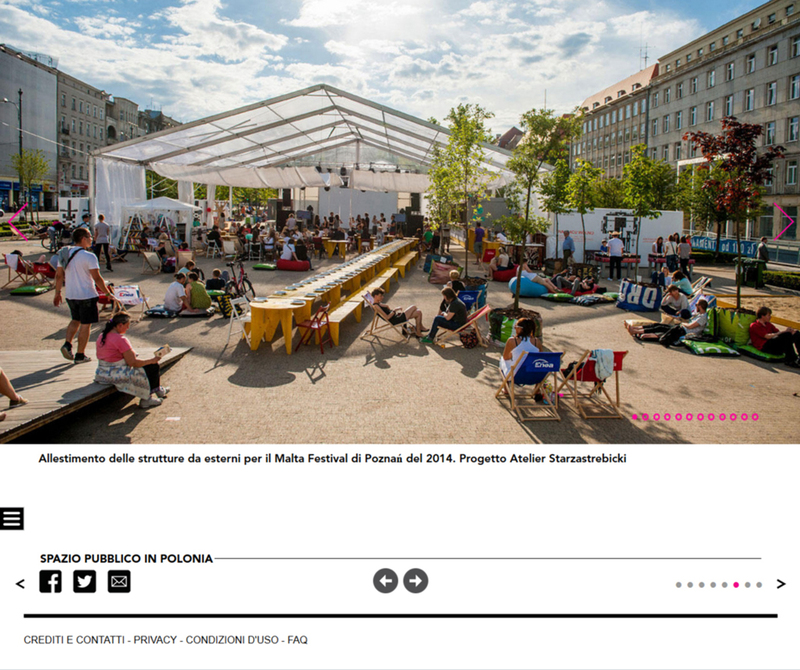 The exhibition shows among others: books and magazines related with the issue of quality of housing and public space, results of studies of Polish constitution and selected acts of law, which describe and are responsible for the quality of urbanism in Poland. And above all, results of research (including typology and density studies, photographs, movies, interviews with inhabitants) on six different housing estates in Gdynia and Poznań, which are part of the current urban fabric in the city and represent three different time periods: housing estates from the 30’s, pre-fabricated housing units from 70’s and contemporary housing neighborhoods realized by private developers. 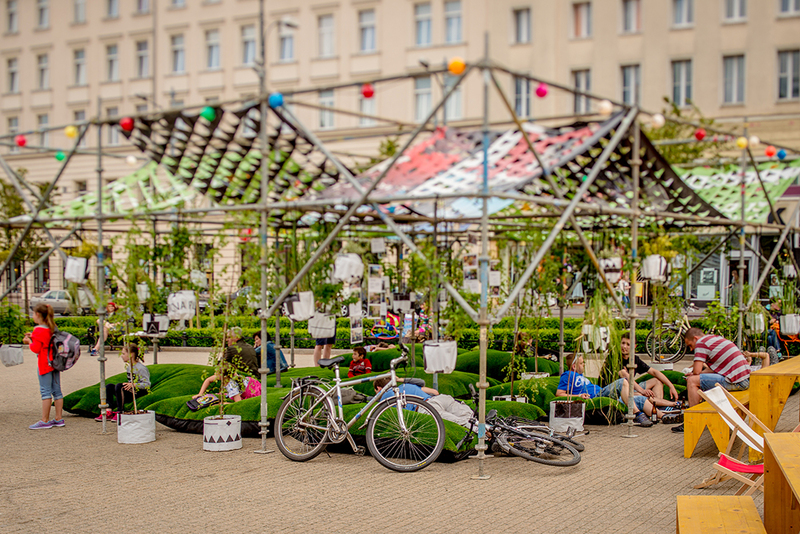 The exhibition took place from 3rd to 12th July and was created specially for the festival Gdynia Design Days 2015: Sieci. Festival Gdynia Design Days is organized by the Pomeranian Science and Technology Park Gdynia and Center for Design Gdynia. 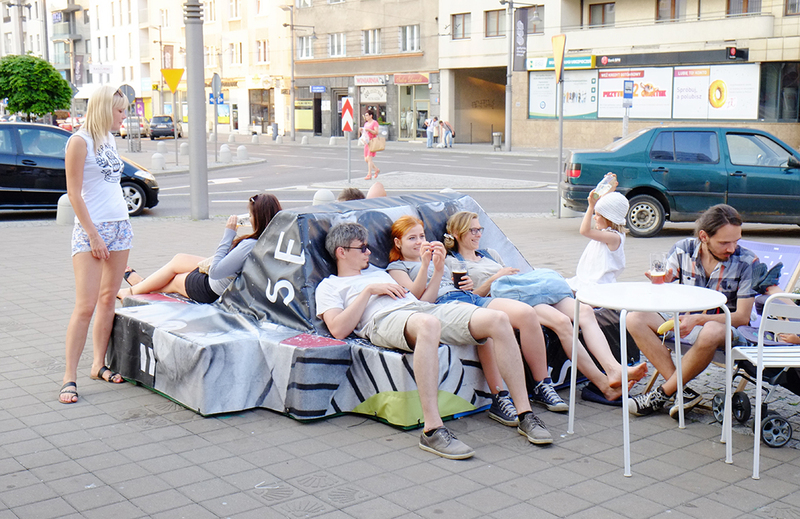 3 city mattresses designed for Gdynia Design Days 2015. Plac Kaszubski, Gdynia. Malta Neons. We received one of the Malta Neons. “During the birthday concert celebrating 25 years of Malta Festival we awarded five “Malta Neons” to people who we particularly value for their input in the festival’s development. In this way we continue a tradition started in 2010 when we awarded 20 Malta Masks. 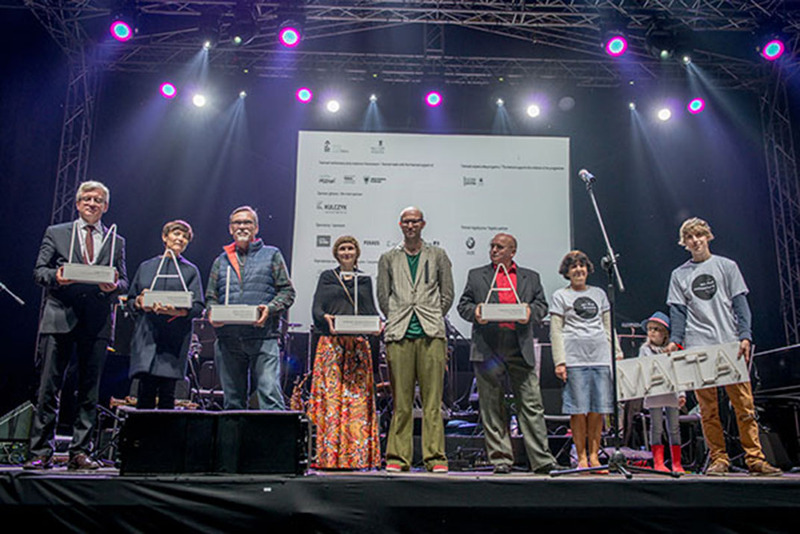 This year Malta Neons were awarded to: Hugo de Greef, Anna Hryniewiecka, Jacek Żakowski, Jola Starzak and Dawid Strębicki, as well as Grzegorz Głębocki. 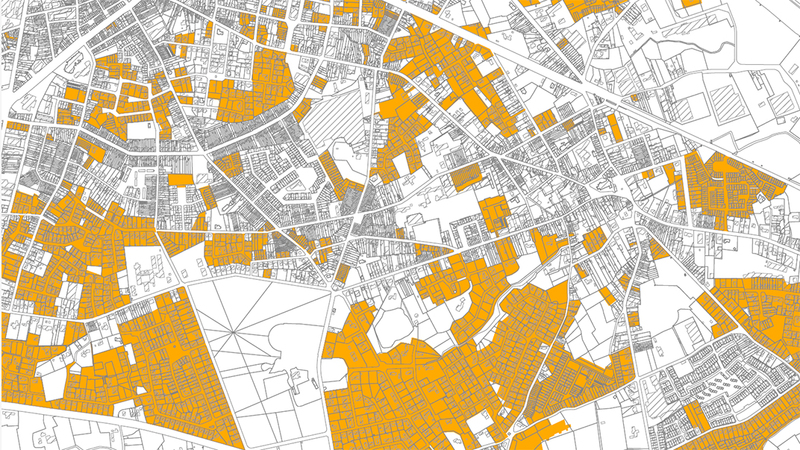 Jola Starzak and Dawid Strębicki – for a new quality in Malta’s spatial order. Opening of the exhibition Gramy! 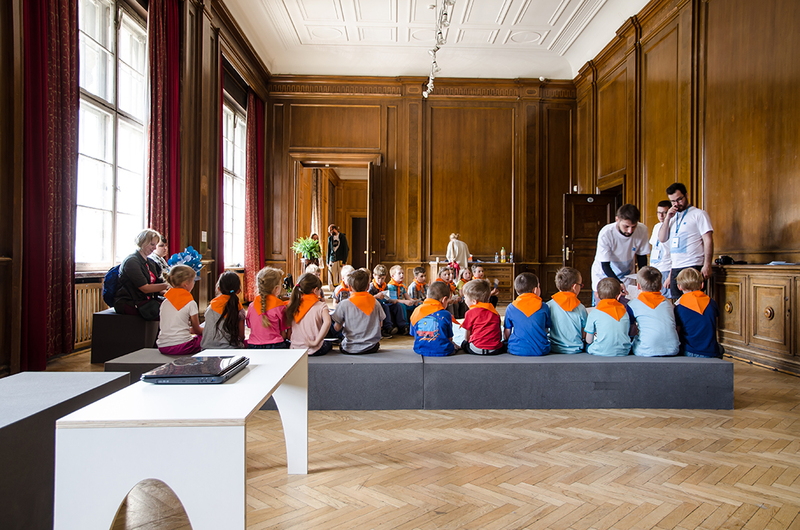 as a part of 20th Biennale for Children Art at the Cultural Centre Zamek in Poznań, Poland. Opening of Malta Festival on Plac Wolności in Poznań, Poland. Opening of the National Audiovisual Institute (NInA) in Warsaw, Poland. 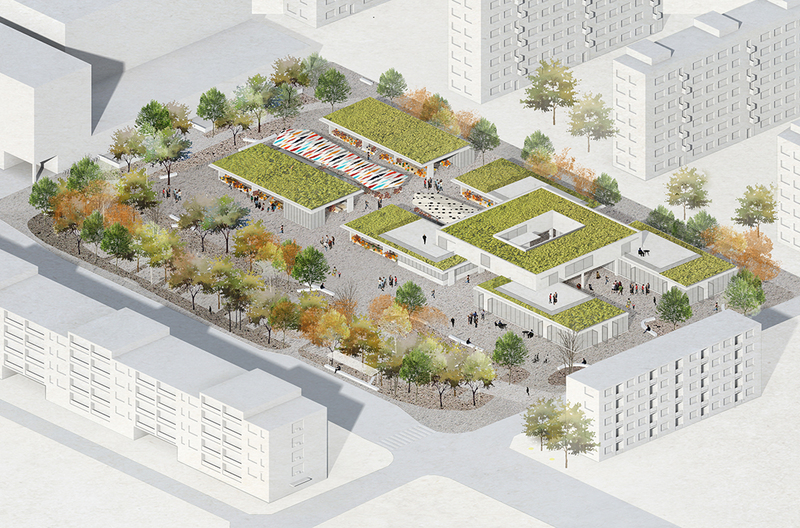 We have been invited to the competition for the Development of a strategy for residential areas in Rumbeke, Belgium. In collaboration with Carton 123, Brussels, Belgium. 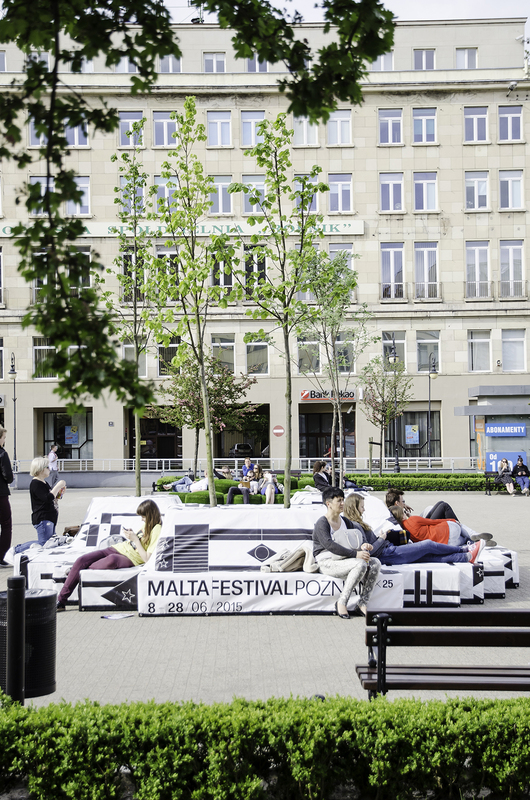 Projects Malta Festival 2014, City mattress – Fajrant, Apartment Daleka and Apartment Niechorze have been discussed in the article “Spazio pubblico in Polonia” by Gianpiero Venturini in the magazine L’architetto. Project Island Plac Wolności completed. Lecture with the title “Architecture. Work in progress.” about our work at Concordia Design in Poznań, Poland. 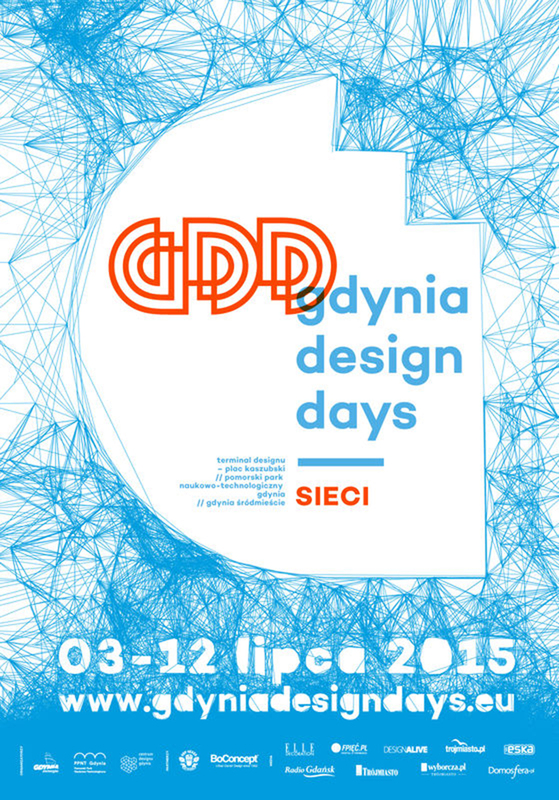 We have been invited to support and give shape to this year’s program of Gdynia Design Days. Publication of the second part of the interview with Flemish Government Architect Peter Swinnen in the architectural-magazine Zawód:Architekt #42. The talk was held by: Ewa Frankiewicz, Dawid Strębicki and Sebastian Osowski.